The baby ski pack includes a pair of skis, a pair of boots and a pair of ski poles. The baby ski package is intended for children under one meter ready to discover the joys of snow and ski. To accompany them in their first turns on skis, Skimax selected for you a range of very easy and very safe ski, they are also the favourite colors of your children's. 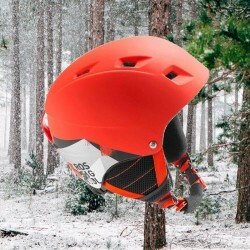 Skimax strongly recommend to rent helmets for your children. Available models: funny girl, robot comp, Head Rossignol Rossignol team or equivalent model.